Samsung have long been at the forefront of slim elegant LED Televisions, and we have been involved in Samsung TV installations for years as are one of our favourite manufacturers, for quality products. The Samsung Smart TVs have been developed to integrate internet capabilities which offer instant access to online interactive media. They enable consumers to view advanced services on their flat screen TV, via a single device. As well as traditional broadcast TV channels, the Smart TV provides access to catch-up services, video-on-demand, social networking and other multimedia applications. Samsung were one of the first manufacturers to introduce thin bezels and super-thin TV panels. These mean that for a given overall dimension, the picture is much larger, and the TVs are easier to work with and less dominant. We have found that where we’ve replaced TVs that have been recessed into walls and built-in to cabinets etc, we’re able to introduce a much larger picture into the same space. 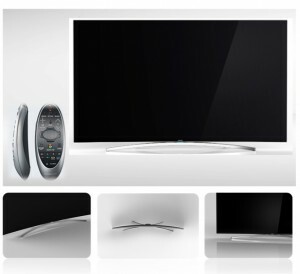 We’ve found these to be easy to use and reliable, and so offer Samsung TV installations as part of our kit bag of solutions. We are able to integrate them into home cinema solutions, or as stand-alone TVs, with pedestal and wall mount options. Building them into an AV wall is often a highly desirable solution, as when the TV is off, a large TV can be prevented from dominating the room in the way that a simple on-wall or pedestal standing installation will.